Miss Julia's morning class knows how to give. And her afternoon class does, too. Julia Neuhauser teaches two groups of children at the Citrus Heights State Preschool in Citrus Heights (a suburb of Sacramento), California. Both her morning and afternoon preschool classes saved their nickels, dimes and quarters, and each class save enough to each donate a flock of chicks to a family in need in another part of the world. Ms. Neuhauser said, "As a preschool classroom, I wanted to do a service project, because I think we need to start very early to build empathy and compassion." Many families in poverty throughout the world struggle for resources to feed or educate their children. 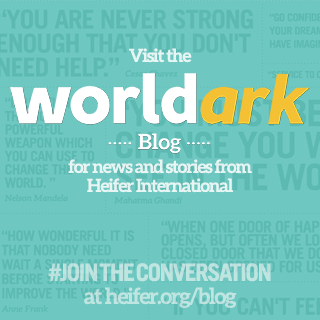 When Ms. Neuhauser reached out to Heifer International about her preschool projects, she asked for a letter to read to her students to help them understand how, through their gift, they were helping a young child to go to school. 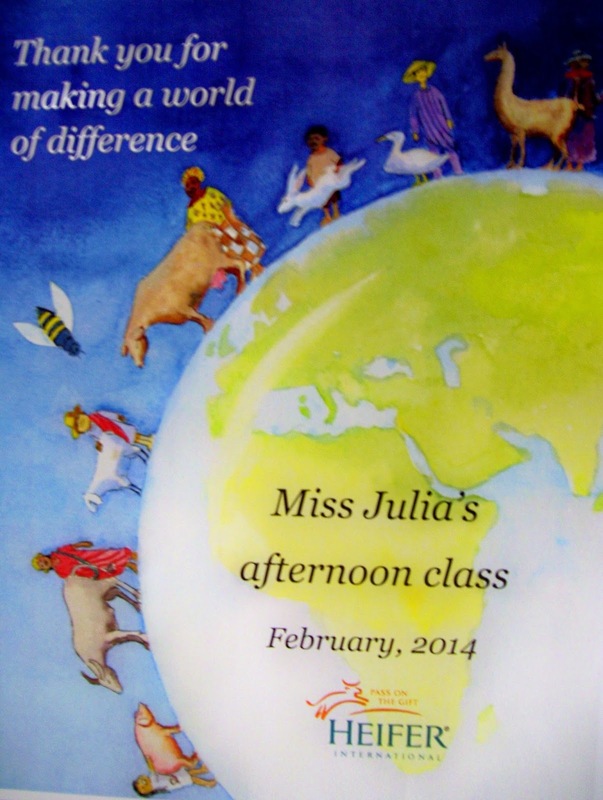 Heifer was able to one better and sent a local Sacramento Heifer volunteer in Linda Eisenman to visit the classes. Linda presented a certificate of appreciation to each class and brought a small flock of chicks so that the children could see and touch what they have given. Each flock of chicks the children donate will produce eggs, provide nourishment for families, and provide income so that, yes, the children in the families can go to school. Through "Passing On The Gift," a basic Heifer principle, the first family to receive the chicks will donate a flock of chicks to another family in the community, when offspring hatch from the first flock. This gift continues and is passed on from family to family throughout the community, until all the children are nourished and incomes become stable to provide an education for all the children in the community. A spirit of giving. Miss Julia's classes say "Pass it on." Ms. Julia's students holding chicks.